* prices in PLN, per run for whole group The city of Wieliczka lies in the south central part of Poland, within the Małopolska region. Salt Mine attracts a large number of tourists from the country and abroad. Authorities do not complain about lack of interest as the investments made to attract the tours to the salt mines, numerous cultural events under the ground and in the city, interest tourists. Take a chance to convince yourself that is it really worth a visiting Wieliczka. Arriving to Krakow Balice airport you can take a trip to the salt mine, it is best pre-book tickets to visit. It really is something to admire, especially the visiting program includes numerous breathtaking, multimedia underground. At your request we can arrange private transfers from Krakow to Wieliczka and return during any term and at any time. Simply book private taxi on our website, and BeKrakow will pick you up straight from the airport. Taxi will take you to Wieliczka in a short time, so you will not have to stand in line and wait for the other, public transport. Our company BeKrakow gained experience in car service and knows that individual approach to each client allows to provide satisfactory services. Transportation industry is well known to us, like the route to Wieliczka from Krakow Balice airport. We provide door-to-door services. Our luxury chauffeur will pick you up directly from Cracow Balice airport and drive you to the indicated address. If you are looking for the best way to get from Krakow to Wieliczka Salt Mine, take advantage of our offer. No need to look for alternative means of transport. Our attractive price ensures a comfortable ride getting from Krakow to Wieliczka and return. Our experienced drivers will ensure peace and safety to every customer. Want to know more about the transfer from Krakow to Wieliczka? Refer to the table on the left. Tourists may encounter such problems as finding a transport to the center when arriving on unfamiliar airport. In this case simply use the services of BeKrakow to get where you want. Book your private taxi from Krakow to Wieliczka, and we will arrive in the appropriate terminal at a strictly specified time. 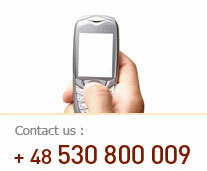 We are a reliable company, which punctually arrives on the clients request. Our cars and drivers are waiting for you! Not knowing how to get to Wieliczka from Cracow? Book your private transfer. You will not regret your choice! What is the distance from Krakow to Wieliczka? Distance from Cracow to Wieliczka is 35 km . So we can safely plan your trip to Wieliczka being in Cracow – on business or for tourism. Our drivers will ensure fast and efficient transfer in the way from Cracow to Wieliczka. There is no need for you to know the route from Krakow to Wieliczka. Our driver will provide you with car service at a high level. How long is transfer time? Our transfer time in the way from Krakow to Wieliczka is very short – approximately 30-40 minutes, depending on traffic on the route. Our driver always makes sure to choose the best way to reach the destination. Therefore, if during the service transfer from Krakow to Wieliczka there will be traffic jams, accidents or road works, no need to worry about the extender time travel .It should not take more than an hour. On table on the left you can see the exact cost of taxi from Cracow airport to Wieliczka. This amount takes into account the taxi fare, the cost of gasoline, air conditioning, insurance and comprehensive luggage service. With the help of BeKrakow, which will organize your private taxi from Krakow to Wieliczka, you get to your destination rapidly. Book your transfer right now!